Teesside University is involved in an innovative new project with national charity Grandparents Plus and Middlesbrough Football Club to help kinship care families in the region get active together. Kinship care families are those where a grandparent or another relative has stepped in to raise children whose parents aren’t able to care for them. 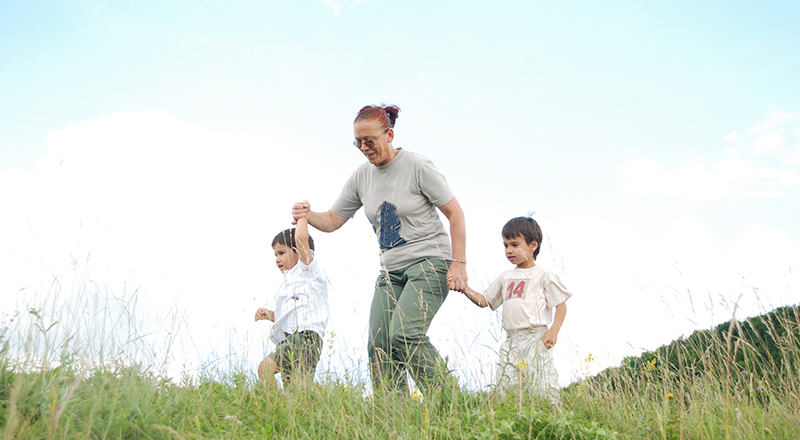 Led by Grandparents Plus and in partnership with the University and MFC, the project has been awarded £338,000 National Lottery funding by Sport England as part of a national programme to help low income families get active with their children. With over half being grandparents, kinship carers often struggle to maintain active lifestyles, and a recent survey showed that 32% of carers were worried about their physical or mental health and their ability to carry out their caring role. As an area, Teesside has one of the highest proportions of kinship care families in the country, with an estimated 2,200 children being raised by family members and friends in the region. The project will support families in Middlesbrough and Redcar and Cleveland with one-to-one support, personalised activity plans and local activity programmes. Dr Lucy Peake, Chief Executive of Grandparents Plus, said: 'We’re really excited to have been awarded this funding to help Teesside’s kinship care families get more active together. I am delighted to work with Grandparents Plus on this project which is unique in terms of promoting intergenerational physical activity intervention for grandparents raising grandchildren. John Fothergill, Operations Manager at Middlesbrough Football Club Foundation, added: 'Grandparents Plus is a terrific initiative which diligently supports kinship care families, and thanks to recent funding by Sport England, it will give both children and guardians a wonderful opportunity to enjoy physical activity together.